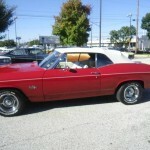 The Malibu along with it’s platform mate, the Chevrolet Chevelle was all new for 1968. 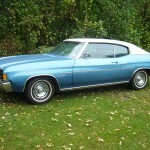 The Malibu and all other GM A-body platforms, such as the Oldsmobile Cutlass were completely restyled for 1968 with semi-fastback rooflines. 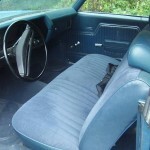 In addition to a new body and platform, the Malibu was all new inside. 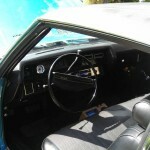 There Malibu had a new instrument panel featuring round gauges in square pods similar to what would appear in the 1969 Camaro. There was also a new Concours luxury option for the Malibu sedan and coupe that included upgraded cloth or vinyl bench seats, carpeted lower door panels, woodgrain trim on dash and door panels, and Concours nameplates. The was also a top-line Concours Estate wagon with simulated woodgrain trim that had the same interior and exterior appointments as the Malibu sedans. The new Malibu rode a 112 inches for the two-door models and 116 for four-door sedans and station wagons. A new 307 cubic inch V8 rated at 200 horsepower replaced last year’s 283-cubic-inch V8. With all the changes for 1968, the 1969 Malibu would only receive new instrument panels, new grilles and rear decks with revised taillights. The new instrument had the ignition switch moved from the instrument panel to the steering column and also doubled as a steering wheel lock. 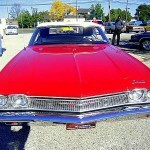 The 307 V8 was continued as the base V8, but a new 350 cubic inch V8 replaced the 327 V8. 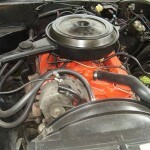 GM’s three-speed Turbo Hydra-Matic transmission was now available on all models with all engines, including the six-cylinder and small-block V8s which in previous years were only available with the two-speed Powerglide. 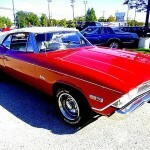 For 1970, Chevrolet tried to make the Malibu its main intermediate car by discontinuing the base model Chevelle 300 and 300 Deluxe. 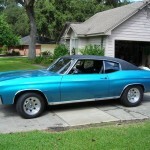 This left only the Chevelle SS-396 and new SS-454. 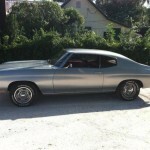 However, at mid-year Chevrolet reversed itself and the Malibu was rejoined by lower-line Chevelle models that were simply called the Chevelle in both four-door sedans and two-door hardtops. 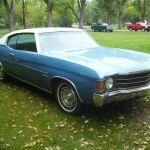 Changes for 1970 included new grilles, rear decks with taillights moved into the bumper and revised Sport Coupe roofline highlighted this year’s changes. 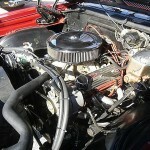 The standard six-cylinder engine was increased form 230 cubic inches to 250 cubic inches. 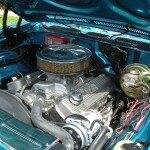 The V8 engine options carried over with the addition of a 400 cubic inch V8 on non-SS Chevelles. 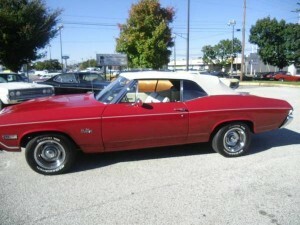 For 1971, the Malibu would receive a few teaks as development of an all new Malibu was under way. 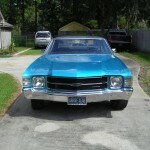 The changes included a new grille surrounded by single headlamps and four round taillights similar to the Camaro’s and Corvette’s which were located in the bumper. All engines were detuned to use lower-octane unleaded gasoline this year per GM corporate policy. 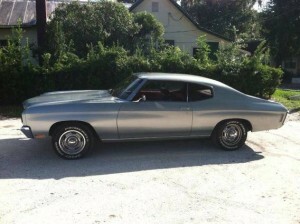 Chevrolet would introduce an all new Malibu in 1973. 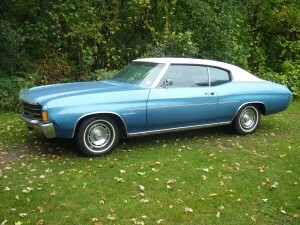 With the exception of a new grille, the 1972 Malibu would solider on with no changes. All bodystyles were carried over from 1971. 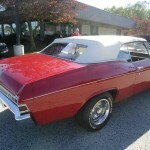 But 1972 would be the final year for hardtops and convertibles. 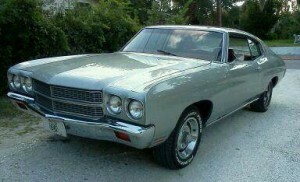 The 1973 Malibu would feature GM’s Colonnade styling with side pillars and frameless door windows. 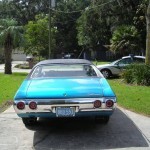 For more information on the Malibu, see our post on the 1964-1967 Chevrolet Malibu. 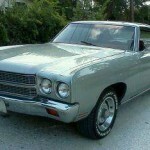 For information on other classic Chevrolets, see our posts on the 1965-1970 Chevrolet Impala or the 1970-1972 Chevrolet Monte Carlo. 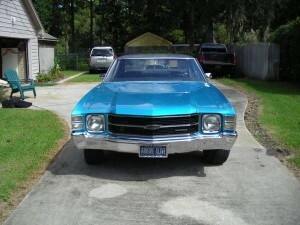 This entry was posted in Chevrolet, Malibu and tagged A body, Century, Cutlass, Intermediate, LeMans, Monte Carlo. Bookmark the permalink.